An Air Dynasty helicopter carrying including Minister for Culture, Tourism and Civil Aviation Rabindra Adhikari, owner of Yeti Airlines and Air Helicopter Company Air Dynasty Ang Tshering Sherpa crashed at Pathivara in Taplejung on Wednesday afternoon. Police informed that the helicopter went out of the contact while it was returning from Pathivara temple of Taplejung. According to the sources at Nepal Police Headquarters, the police team including Chief District Officer Anuj Bhandari left for the incident site after the villagers informed them about the massive fire at Dorebhir of Taplejung. Minister Adhikari who was accompanied by Sherpa reached Aathrai of Taplejung on Wednesday morning to inspect Tehrathum Airport. Police informed that they then reached Pathivara temple to worship. There were at least seven people on board including Adhikari, Sherpa, pilot Prabhakar, deputy secretary of Prime Minister Office Yubaraj Dahal, Deputy Director-General of Civil Aviation Authority of Nepal, Birendra Kumar Shrestha, and a security guard of Minister Adhikari, Arjun Ghimire. Mt. Everest. Step by step, raw and unfiltered. Experience the final push to the top of the world. “The climb from the deceased climber at 8500m to the south summit is the most difficult section for me. I feel dead inside, lifeless from having witnessed such a tragedy. I allow myself to live emotionally in the moment for about 30 minutes before cutting it all off and reminding myself that I can end up like him if I don’t smarten up. So I continue climbing, struggling to pull my weight up the steep, jagged rocks beneath the south summit. 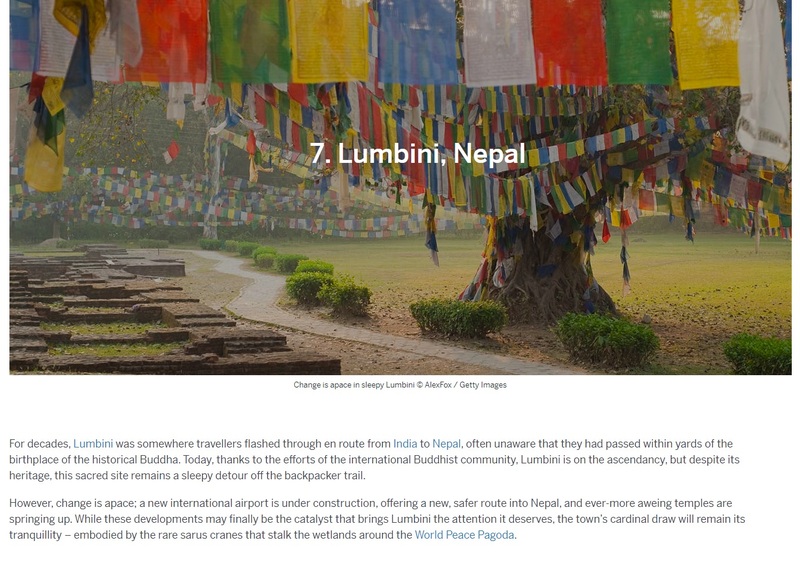 Do you guys know that Nepal has been listed as one of the Asia’s best destination for 2018 ! Entry fees must be paid to enter Heritage Sites, museums etc. at the entry point. Please refer to the table below for details about payment. Please note that the information below is as per the information provided by the concerned department. Any difference or discrepancy could be reported at [email protected] . Updates will be made after verification from official sources. Bhaktapur Durbar Square US$ 15 or NPR. 1,500 NPR. 500 NPR. 500 Free 01-6612249 Below 10 years free. For groups from 11-20, one tour leader can enter free. National Art Museum, Bhaktapur NPR. 150 (NPR. 100 for camera, NPR. 200 for video camera) NPR.. 50 (NPR. 50 for camera,NPR. 150 for video camera) NRs. 150 (NPR.. 100 for camera, NPR.. 200 for video camera) Students: NPR.10; Others: NPR.25 (NPR. 50 for camera, NPR. 100 for video camera) 01-6610004 Closed on Tuesdays. The fee includes wood carving and brass and bronze museum in Dattrareya Square. 01-4277236 Below 10 years free. Bauddhanath Stupa NPR. 400 NPR. 100 NPR. 400 Free 01-4489257 Below 10 years free. 01-4470340 Tourists can view the temple from the back premises. Tharu Cultural Museum,Chitwan NPR. 25 NPR. 15 NPR. 25 NPR. 10 056-580121 Below 10 years free. 071-580200 NRs. 16 for Indians. 01-4425341 Below 5 years free. NPR. 50 fro 5-11 years. 25% discount for a group of 10 pax. Godawari Park NPR. 200 (NPR. 150 for children below 10 years) NPR. 57 (NPR. 23 for children below 10 years) NPR. 100 (NPR. 50 for children below 10 years) NPR. 34 (NPR. 12 for children below 10 years) 01-5174246 Student 50% discount. Tootle is one of the easiest and possibly the cheapest and fastest means of commuting in Kathmandu. All you have to do is request a ride via their app and someone nearby will pick you up in their motorcycle. The charges are minimum compared to a Taxi or other services. However, tootle is feasible only for a solo traveler within the city. https://directionkathmandu.com/wp-content/uploads/2014/08/Tootle-Ride.jpg 380 1000 Saujan https://directionkathmandu.com/wp-content/uploads/2018/06/DKTM_logo-300x111.png Saujan2018-07-23 18:56:262018-07-28 09:47:08Tootle; Easy Motorbike Ride in Katmandu! The Ministry of Culture, Tourism and Civil Aviation (MoCTCA) has planned to organise ‘Visit Nepal Year’ in 2020 to attract more tourists to the country. If we could do this too it would be amazing !!! https://directionkathmandu.com/wp-content/uploads/2018/06/DKTM_logo-300x111.png 0 0 Saujan https://directionkathmandu.com/wp-content/uploads/2018/06/DKTM_logo-300x111.png Saujan2018-01-30 10:29:192018-07-30 10:31:35Have you seen this video? Our team are currently working on the long term support understanding that this is one of the most essential requirements now. We wanted to work on the locations where relief had not reached and on the working areas which is very important. We, together, decided to support in rebuilding a school which, we believe, in the long run will be very much beneficial to the whole community.